Preposition Examples is very Important to learn English Grammar. Prepositions are the Backbone Of English Language. In every Sentence, preposition is used. So you must carefully learn about Preposition. But before the start preposition examples , you should know, What is the preposition? 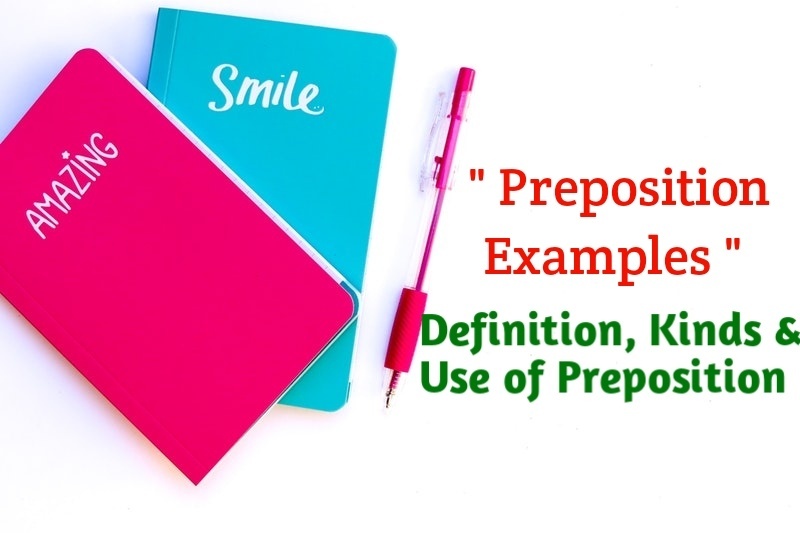 Here, you know about Definition, Kind & Use of Preposition With meaning full Preposition Examples. A Preposition is a word which is placed before a Noun or Noun- Equivalent to show its relation to some other words in the Sentence. Preposition Examples : 'There is a man in the Room' - The Word 'in' show the relation between 'Man' and 'room'. He came by bus /train. This is done for the good cause of the people. The dog rushed at me. The stayed with me for the last five minutes. The girl with brown here. Milk is sold by litre. My son was born in 1974. He lives in a town on the border. I go from Barrackpore to Kolkata. 1. Simple Preposition : These Prepositions are ' One Word'. Here some Simple Preposition Examples : at, after, for, from, in, of, on, out, over, though, till, up, under, with etc. 2. Double Preposition : When a single preposition is not sufficient to express the sense, then two simple prepositions are united together to express the sense fully. Double Preposition Examples : into, from among, from within, from behind, over against etc. 3. Compound Prepostition : These are formed from some noun, adjective, or adverb compounded with the preposition. Compound Preposition Examples : Across ( = on+ cross), Behind ( = by+ hind), About ( = on+by+out), Between ( = by+ twain), Above ( = on+by+up), Before ( = by+ fore) etc. 4. Participle Preposition : Some Present and Past Participles are used as Prepositions. Considering his age I pardon him. Do you know anything regarding his landed property? Respecting, Touching, except, during etc is also Participle Prepositions. 5. Phrase Prepositions or Prepositional Phrase: Two or more words habitually thrown together and ending with a simple preposition man be called Phrase Prepositions. 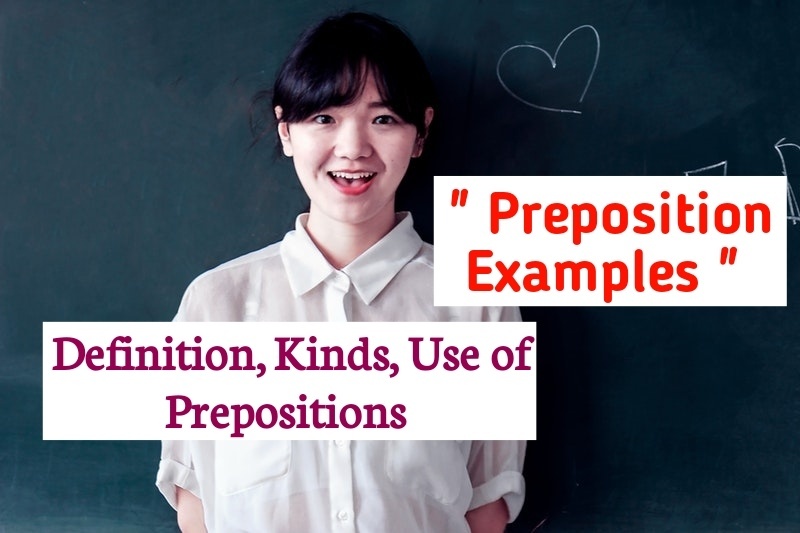 Phrase Preposition Examples : by means of, because of, in front of, in spite of, on account of, with regard to, instead of, in the place of , according to, agree to, along with, away from, at home in, because of, by means of, by virtue of, by way of, for fear of, for the sake of, for want of, in accordance with, in addition to , in case of, in favour of, in honour of, in reply to, in order to, with a view to etc. 6. Disguised Preposition : When the Preposition on and of being changed into a & o respectively, then they are called Disguised Prepositions. 2. When the object is an Interrogative Pronoun or a relative pronoun the preposition is placed at the End. Examples: What that you shout at him for? . Where do you come from? 3. Before the Direct Object: The beggar bags him for Money. After is used to indicate time whereas ' Behind' is used to Indicate Place. Preposition Examples : The Iron Rod grew hot after ten minutes. In the race, he runs behind me. He left a village ten years ago. He left the village ten years ago, but had settled twenty years before. Till means 'upto' or 'not earlier than'. ( I worked in the school till 1st October, 2018. By means 'not later than'. ( By this time tomorrow, I will have finished my Worked. 12. In & After : Both the preposition are the 'Preposition of Time'. Note : After should not be used as a preposition in the future tense. Of is used for Cause, Materials, Contents, Quality, Possession, Opposition, Space of time, Origin Reference etc.